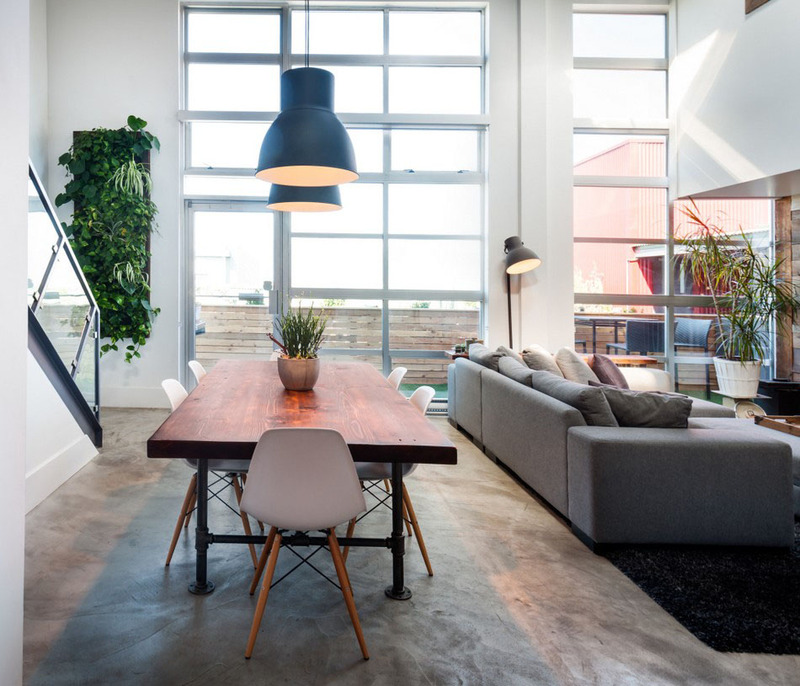 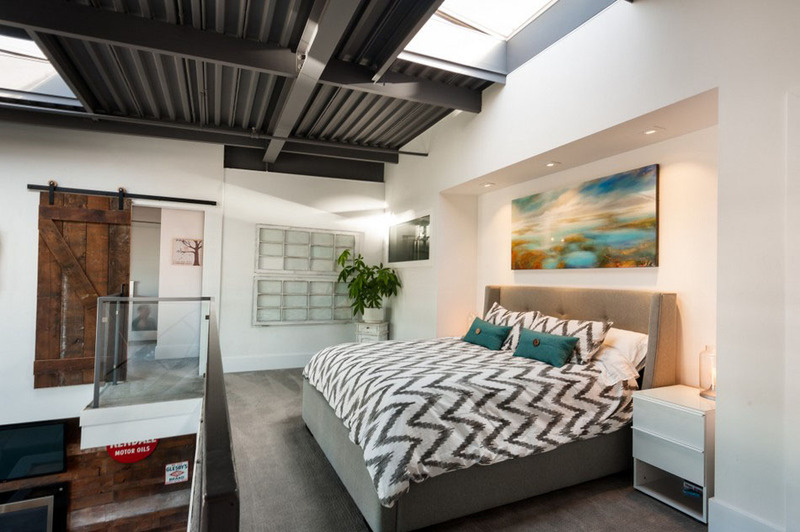 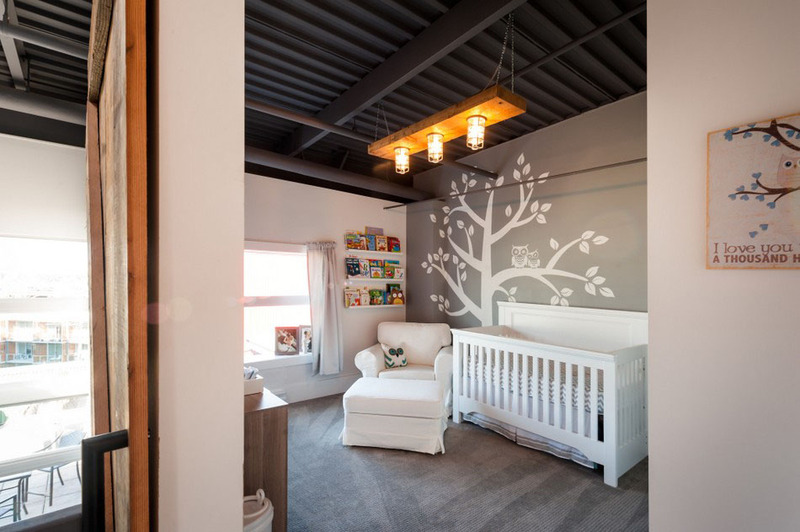 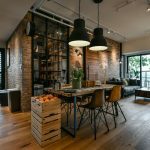 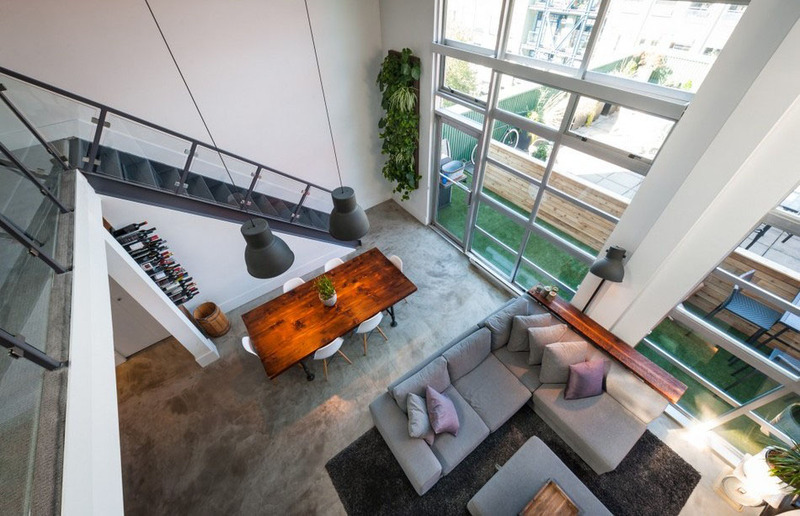 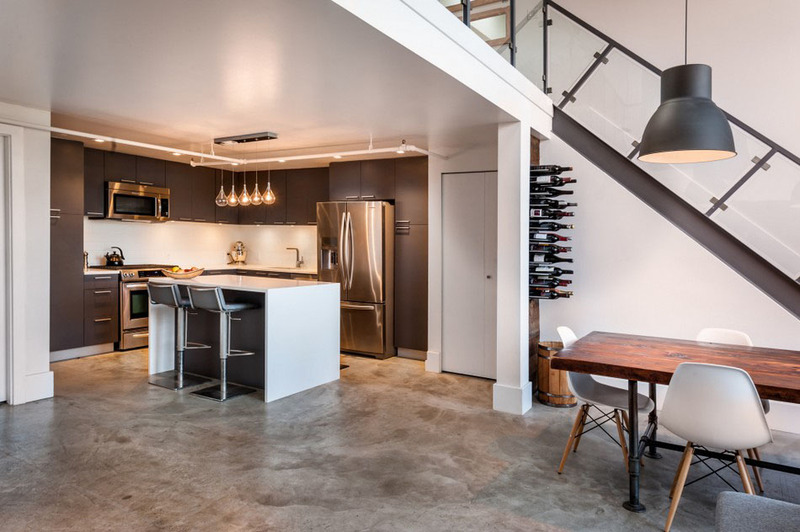 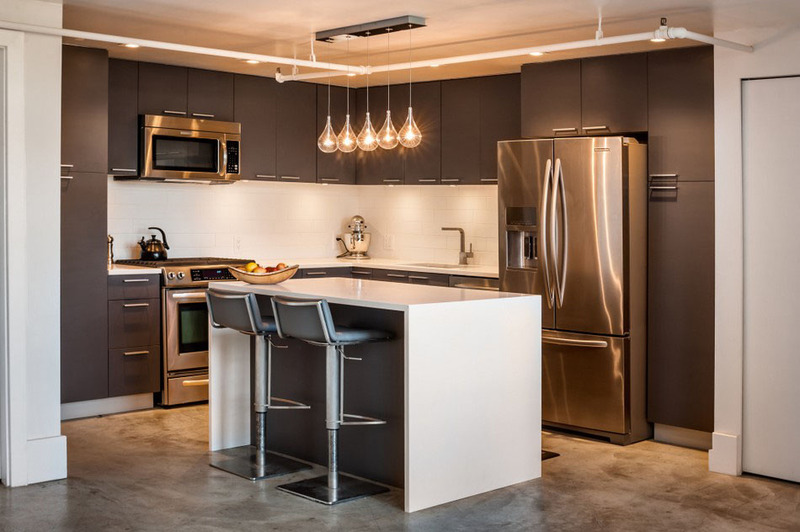 This double height industrial loft apartment in Vancouver, British Columbia, Canada has plenty of functional space and is stylishly designed by TheMACNABS for a young family. 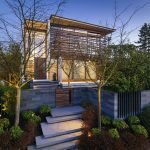 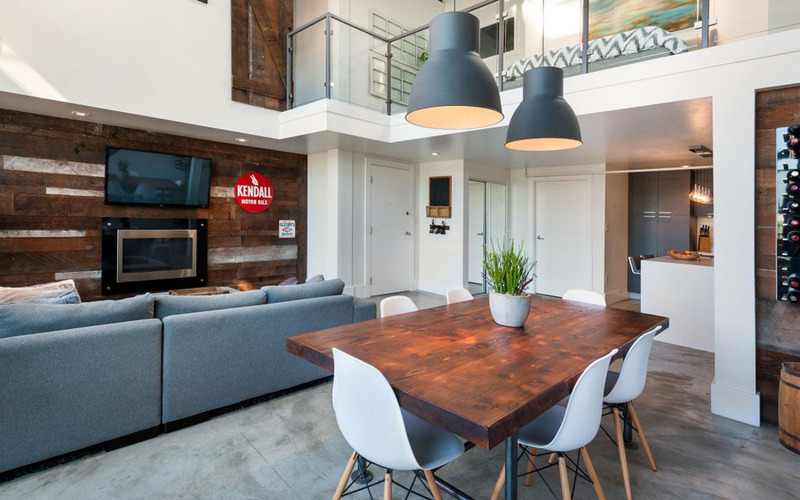 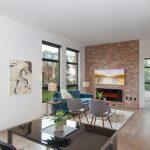 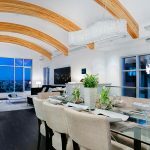 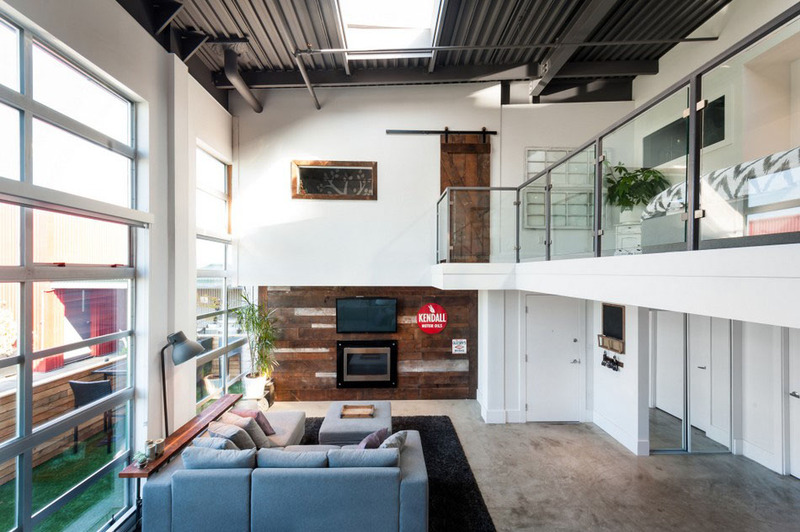 Located in the brewery Creek district, the 1,350 square foot loft has 2 bedrooms, 2 bathrooms, a roof top patio and a great view of Grouse Mountain. 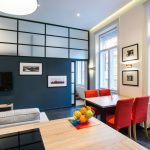 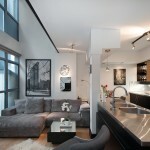 The apartment retains its original polished concrete floor, and is decorated with industrial light fixtures from Ikea. 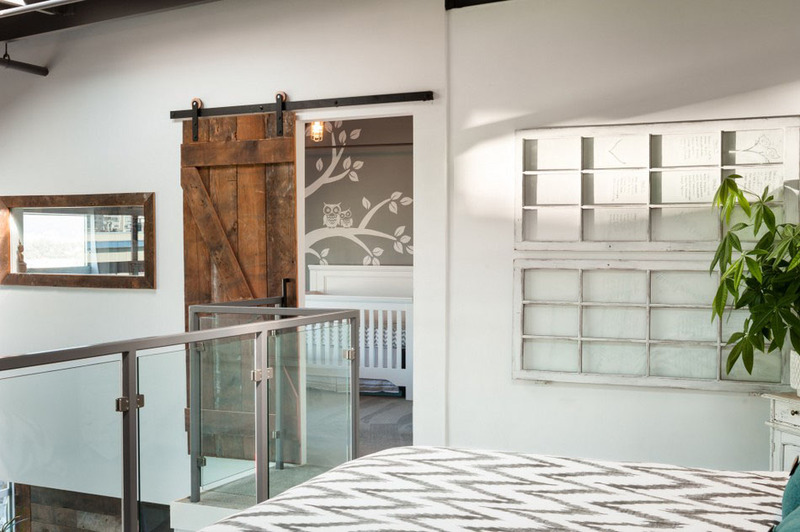 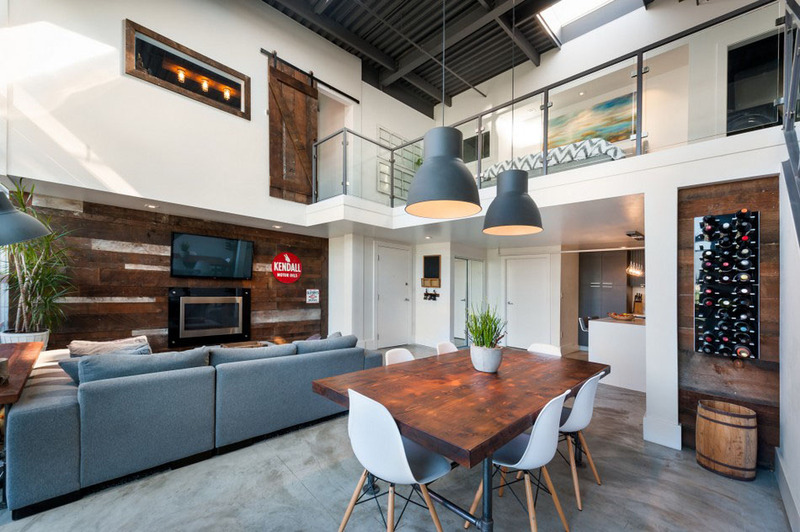 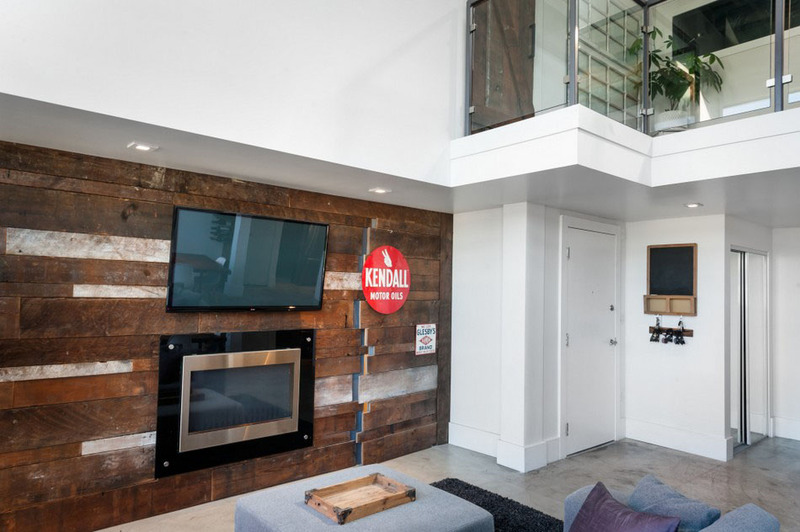 Unique features such as reclaimed wood corp for the main living room wall and a small barn door on the upper level provide a vintage flair to the modern loft.